Get inspired by this cool and summery chic style for your next vacation. 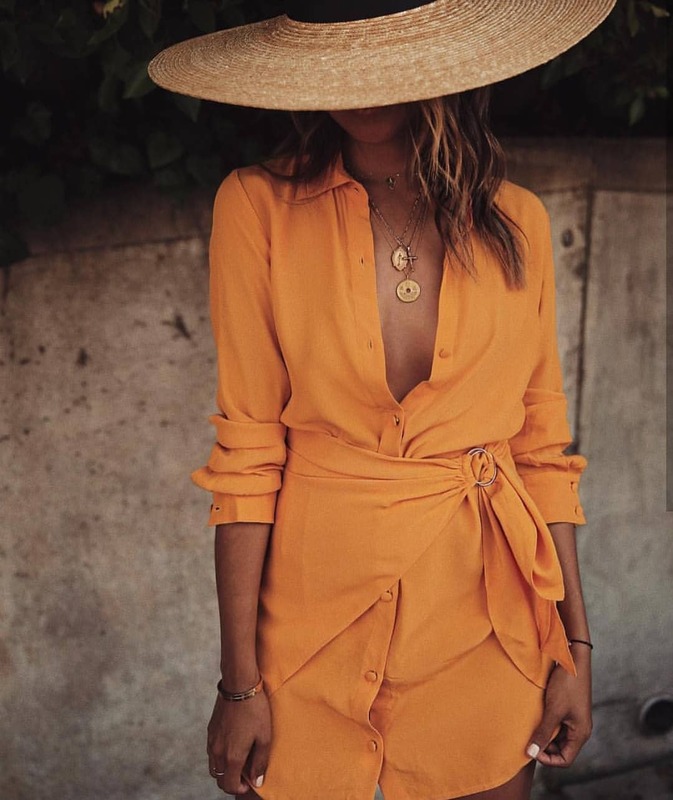 We see a wrap shirtdress in orange-yellow completed with an extra wide-brim straw hat. Love these layered necklaces. Have fun this Summer season by wearing this bright and feminine look during garden parties. We see a young lady wearing yellow shirtdress with long sleeves completed in black floral print. I do love the simplicity of this style. Complete this look by adding an embroidered clutch bag and heeled sandals in black. Some ladies keep things relaxed. Go for a white shirtdress and complete it with gold floral thong sandals. Complete the look by adding layered necklaces and classic handbag. Keep it light, sweet and feminine. Go for a belted shirtdress in white color for Summer season. Complete it with a wooden clutch and heeled sandals. Have fun with this cool orange shirtdress with wrap detail. This is a fabulous design for young ladies who want to underline their individuality during the Summer months. Complete it with a wide straw hat to keep things chic during your vacation.